← God of the New Testament: Bridegroom, King and… Judge? This afternoon NPR’s Fresh Air devoted their program to investigating a new religious movement in the USA called the New Apostolic Reformation or NAR for short. It was portrayed as a deviant form of Evangelical Christianity, it was actually called a “religio-political” group, which actively promoted “Tea-Party” politics among its many members. It was an interesting and “frightening” conspiracy theory and the most surprising of all was that IHOP and Mike Bickle were supposed to be some of the main members. Now it’s one thing to have IHOP misconstrued and misquoted, it’s quite another to be told by a national radio station that you are part of a political movement which you didn’t even realise existed. I for one had never heard of the NAR until the news media started reporting on it recently, which is remarkable. I had many thoughts and emotions about the program, but wanted to highlight one aspect, simply because I have been teaching our students at the media school about it: Seven Mountain Theology. What are those seven mountains all about? Well here’s the story of how the idea was developed. In 1975, Bill Bright, founder of Campus Crusade for Christ and Loren Cunningham, founder of Youth With a Mission were meeting together in Colorado. Unbeknownst to each man, God had given each one the same message simultaneously in times of prayer regarding seven spheres of society that molded and shaped the way that society thinks about and approaches life. During that same time frame Francis Schaeffer was also given a similar message. That message was that if we are to impact any nation for Jesus Christ and therefore make disciples of Jesus (ie the fulfillment of the Great Commission), then we would have to affect the seven spheres, or mountains of society that are the pillars of any society. These seven mountains or spheres are: Arts and Entertainment, Business, Education, Family, Government, Media and Religion. I have actually not heard much direct teaching on the subject of the seven mountains (which I realise is out there) but I felt it was important to talk to our media students about it. I think there is definite truth in the assumption that these seven areas do affect society in profound ways, but I also know that there are right and wrong ways in how we apply this thought. What I mean is this, one of the greatest challenges that Jesus’ first disciples had was deciding who amongst them was the greatest (think Mattew 18, Mark 9 and Luke 9). Within us all is an innate desire for greatness and yet Jesus showed them that the road to greatness did not lie in political networking, debate and climbing the greasy pole of ambition, rather it came by pursuing the risky road of sacrifice, humble serving and radical love. Jesus original disciples had challenges with wrongly applying their desire for greatness and his disciples ever since have had the same challenges. In the sphere of arts and entertainment I have met many believers who did not say it explicitly, but their actions betrayed they really wanted to be FAMOUS for Jesus. If they had a big platform they could REALLY affect the world for Jesus and therefore they were willing to do many things to get more influence over this sphere. Unfortunately, in climbing the mountain of Arts and Entertainment they compromised with the belief that the ends justify the means. By the time they got to the top their witness of Jesus was to say the least not a good testimony. 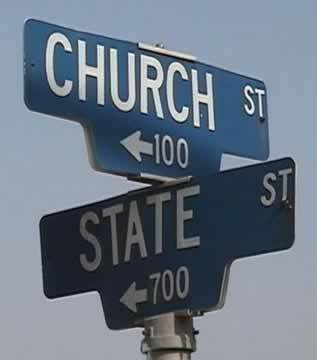 In the sphere of Government there is an ugly word that the news media throw around called Dominionism, essentially this is a belief that Christians should and will take over all the organs of government and the world will become a better place as we “take our country” for Jesus. From the time of the first ugly Christian Government under the “Christian” Emperor Constantine, right throughout history the desire for power, because “we are righteous” and our opponents are not has been frought with disaster and bloodshed. Am I against Christians being famous? No. We certainly need Christian artists, actors and producers who can be “salt and light” amongst their unbelieving colleagues and see the Kingdom of God expanded through salvation and healing and by being a faithful servant in their work whatever that may be and work at it as unto Christ. Am I against Christians being in Government and Politics, absolutely not, now more than any time we need righteous men and women who will serve our governments. I think of someone like William Wilberforce, who I believe was raised up by God to enact the righteous legislation that he did. But his story was not a one of climbing the greasy pole of power by compromise. Am I against Christians being wealthy? No, not at all I believe God gives wealth (although am not a proponent of the so called Health and Wealth gospel) and wealth has always been used to further the Kingdom of God from the very earliest days until now, it is the desire for riches that is harmful. This entry was posted in Church History, In the News, Media Stuff and tagged Fresh Air, IHOP, Mike Bickle, NAR, NPR, Seven Mountains, Seven Spheres. Bookmark the permalink. 2 Responses to NPR, IHOP, NAR and those Seven Mountains.